I thought I’d read all of Barbara Delinsky’s books (a longtime fave author) but came across this one and realized I hadn’t. (Yay! Unexpected treat!) 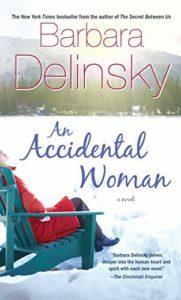 It’s trademark Delinsky–difficult dilemmas to solve and hurdles to overcome by characters you can’t help but feel deeply about and root for to find their ways to peace and joy and love. (Plus I learned tons about New Hampshire in winter and making maple syrup!) You can buy the book here!